Grace Notes String Quartet have performed extensively and have a vast and varied repertoire. They aim to provide you with just the right atmosphere for your event. Ranging in size from a solo violin to a string octet, they are flexible to both your budget and musical needs. 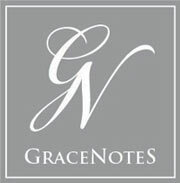 Grace Notes can transcribe and arrange any piece of music for your occasion if it is not on our current repertoire lists.